Ala Barzinji, the writer of the book, said in an interview with BasNews that the book is a collection of Kurdish traditional food which consists of 240 pages and contains over 100 pictures. The book is divided into 8 chapters each of which illustrates a category of Kurdish food. For instance, the first chapter includes different types of salads and starters which are served with the main meal. 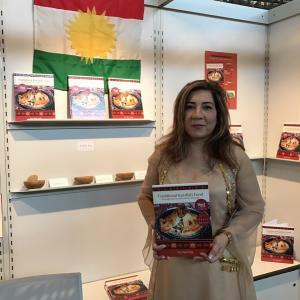 "This is the first book on Kurdish food published in English and it is available in five large UK libraries," she said. The Kurdish culture is incredibly rich in various types of dishes and the intention behind this book is to familiarize the world with the Kurdish food.